An original unit list used in the production of The Wicker Man, the 1973 classic starring Edward Woodward and Christopher Lee under the direction of Robin Hardy. 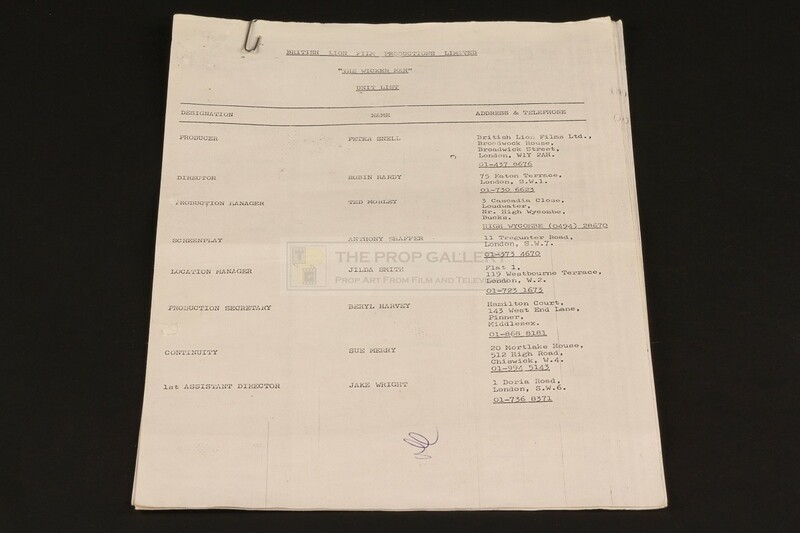 This unit list was issued to crew members and lists the contact details such as addresses and telephone numbers for the various production staff including producer Peter Snell and director Robin Hardy. The five page document is bound by a paperclip and is headed with the name of the production company 'BRITISH LION FILM PRODUCTIONS LIMITED' and the title of the movie 'THE WICKER MAN'. 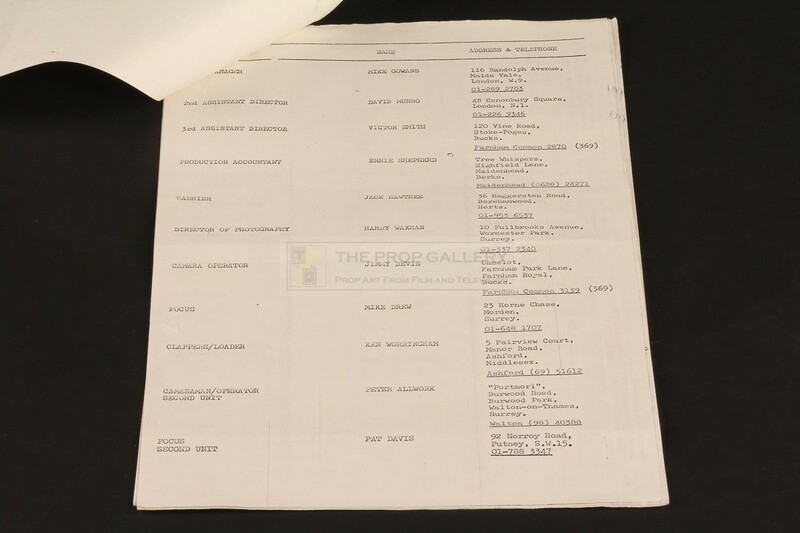 The unit list measures 13" x 8" and remains in excellent production used condition with some light wear including a line to the centre where once folded and minor rust transfer from the clip to the rear page, overall fine. 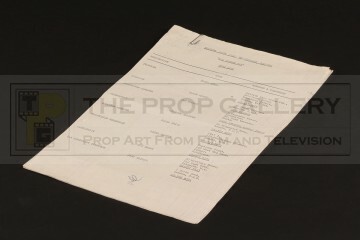 An exceptionally rare example of original production material from this highly regarded classic.